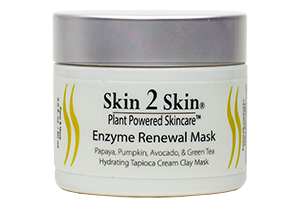 ” Enzyme Renewal Mask, all I can say is: I love your new Enzyme Renewal Mask and will buy it again and again as part of my Skin 2 Skin Care regime. After my body was left feeling ravaged from the trauma of hip surgery and recovery, I was ready to focus on my skin’s recovery. The first time I used your gentle mask I felt like I had just walked out of a spa. I was amazed that I could actually see the difference on my face. I am not exaggerating! It is just what I needed to feel better about my skin, and better about myself. Thank you! Cathie C. Palm Desert CA. Forbidden Ingredients Including: Parabens, Petroleum, Mineral Oil, Paraffin, Phthalates, Sulfates, PABA, Colors and Dies, and Animal Ingredients. Never tested on animals. 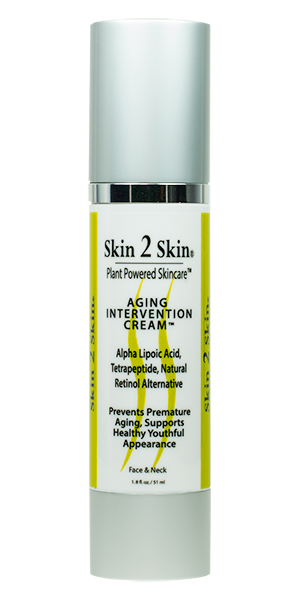 Skin 2 Skin Care is Certified Vegan and Cruelty Free. For best results, use product often. Recommended use is one to three times a week. Use once to three times per week, immediately following a face cleansing with the White Tea Face Wash or the AB-HA Exfoliating Cleanser. The more often you use this product the better results. For external use only. If irritation develops, discontinue use. Keep away and out of the reach of children.